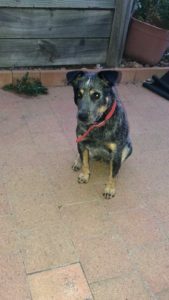 Shadow is a beautiful, lovely, friendly, playful and intelligent purebred blue heeler. 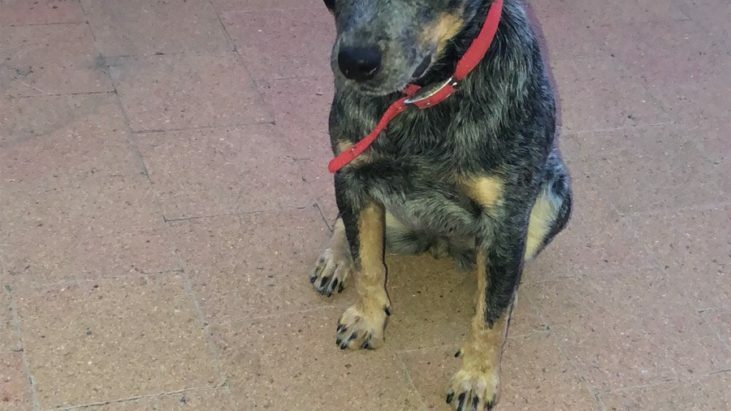 She is a female and approximately 12 months old. She has been with us for about 6 months. She loves playing ball, running and jumping around. She absolutely adores attention and is full of energy as most young blueys are. Shado is also OK with little children. Shadow currently lives with other pets such as 2 kittens, 1 cat and 2 other dogs. She does get along with some other dogs. She is also OK with the cats. I really would love for her to go to a loving home where she can enjoy the rest of her life. I wish we didn’t have to do this, but she has so much energy and working full time, I don’t feel I can provide her with the time, training and affection she craves. She currently requires high fencing with no possible outlets for escape as she will run away. 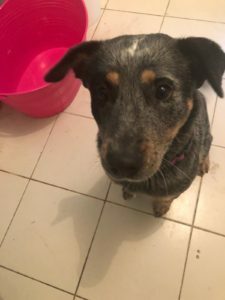 She would prefer a big yard and an owner who can provide lots of activity and a safe environment for her to live a happy life. She is a beautiful and loving dog and we will wait to find her perfect match! 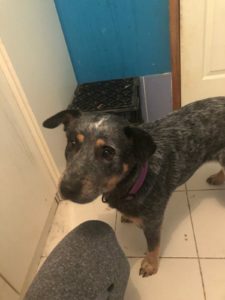 Shadow is located in Canberra ACT. She is up to date with vaccinations and will soon be desexed. For more information/questions, please contact Jess.